Korean startup company Innomdle Lab has designed a smartwatch strap that allows users to receive phone calls by simply raising their finger to their ear. 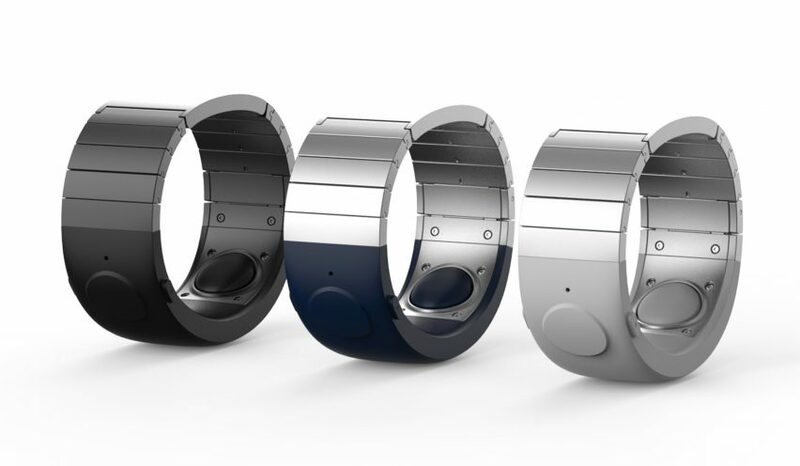 Presented at the Consumer Electronics Show this week, the Sgnl wristband can be worn on its own, or can replace a traditional watch or smartwatch strap to deliver fingertip communication. 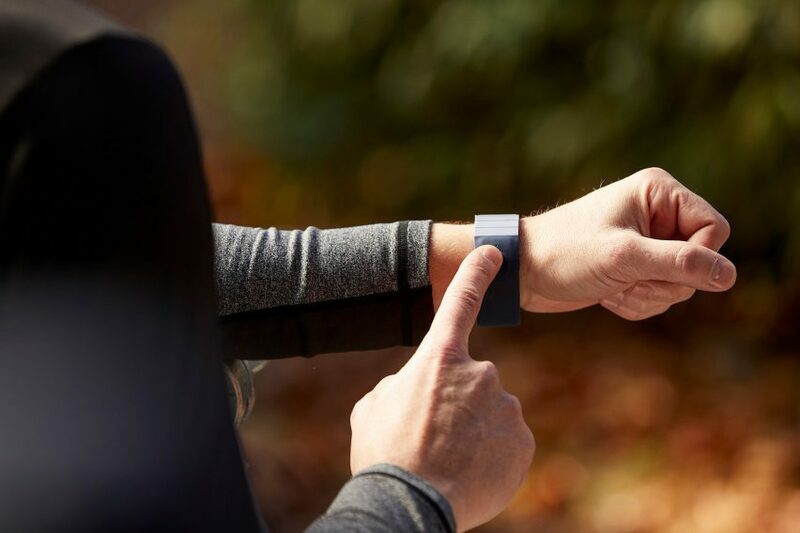 When paired with the user’s phone via Bluetooth, the wristband uses Body Conduction Unit (BCU) technology to send vibrations down the user’s wrist, before converting them into amplified sound. The user then only needs to touch the tragus of their ear with their fingertip to hear the caller on the other end of the line. BCU technology is more commonly used in headphones, where it allows users to listen to music without blocking their ears. 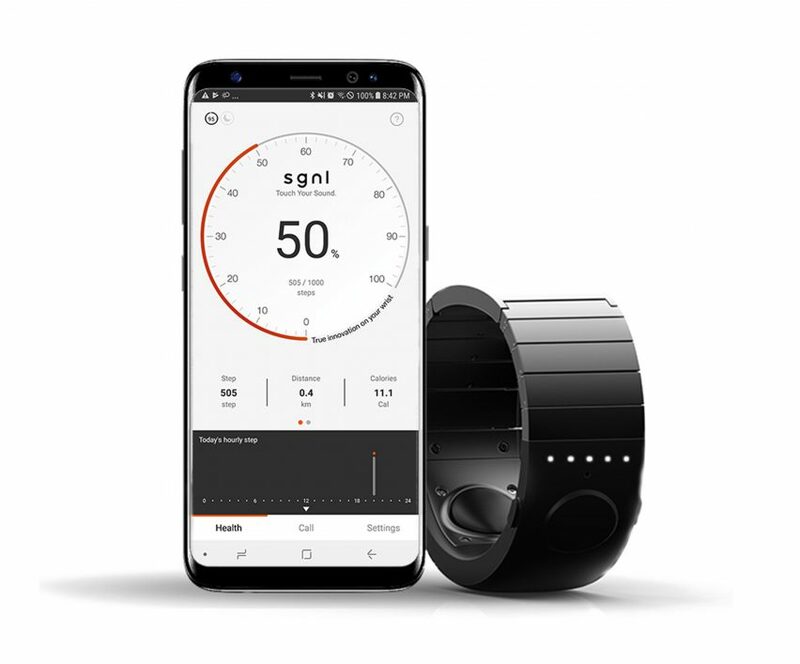 A microphone embedded in Sgnl’s strap enables the user to talk back to their caller, and the device is also equipped with smart functions such as call reminders, health and fitness tracking. “With Sgnl, answering calls is direct and immediate. There is no need to rummage through bags or pockets when your phone rings. Users can simply place their finger on their ear to answer calls,” said Innomdle Lab. In addition to blocking out background noise, Sgnl calls can also only be heard by the user, granting them more privacy. According to the company, this solves the problem found in other smartwatches like the Apple Watch, where calls are made using the speakerphone and can be overheard by others. 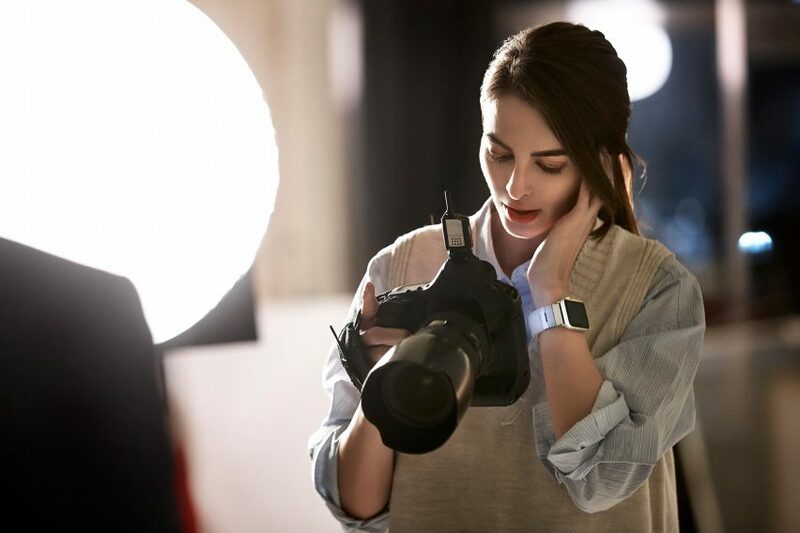 When synced with the Sgnl app, the strap also acts similarly to a Fitbit – monitoring users’ health by tracking their daily activities and workout patterns and counting their steps with a built-in pedometer. Innomdle told its audience at CES that Sgnl should go into production early this year. Health has been a popular topic at CES this year, where L’Oréal has launched a wearable UV sensor to protect against skin cancer, and Byton has previewed a concept car that features a health tracker to monitor drivers’ heart rate, weight, oxygen saturation and blood pressure.